Now, apply smudge free kajal in 5 easy steps. Wear your beauty in your eyes! Eyes are windows to our souls. No wonder women love to accentuate their eyes. 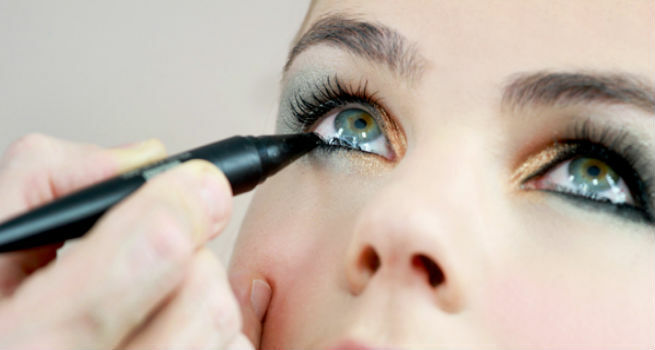 Applying kajal or kohl is the easiest way to beautify the eyes. Most of us dread stepping out of the house without a kajal. A single sweep of kajal can make your eyes look more defined and beautiful. While it’s easy to apply, a kajal may make you look most ghastly if smudged. Even the most beautiful can end up looking terrible if the kajal is smudged. So, the most important question is how to prevent the kajal from smudging. Read on 5 most easy tips to have that fabulous smudge free look. 1. We must first prepare our skin before we apply kajal. Always wash your face before applying a kajal. Make sure the skin around your eyes is oil and sweat free. Your eyes must also be devoid of any left-over kajal or eye makeup. You can use ice-cubes or cotton pads dipped in ice to clean your eyes and keep them shine-free. It will also tighten your skin around the eyes. You can also use an ear-bud to wipe your lower eyelid. Once all the oil is gone, apply kajal in one stroke. 2. 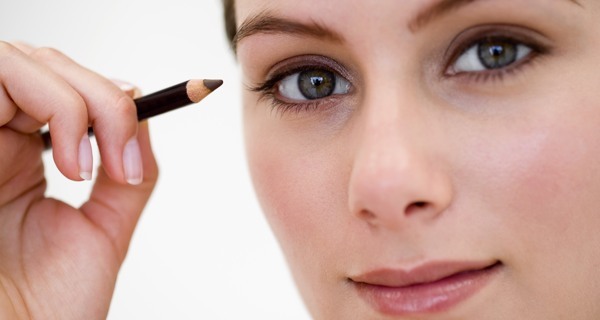 Leave out the corners of eyes while applying kajal as they are the most prone to smudging. So, make it dark in the middle and apply only a thin layer near the tip of the eye. Focus on waterline while applying kajal, but if your eyes tend to become watery or you wear lenses, apply kajal on the lower lash line. Always remember to wipe the tip of the kajal before applying it. 3. Another easy tip for a smudge-free look is to dab some powder on the areas near your eyes. The powder will not only absorb oil but also excess kajal, hence, a smudge-free look. Apply a little concealer on your under eye area if you are to attend a party. This is another effective trick to keep your eyes smudge free. 4. Like us, kajal also works best with the company. 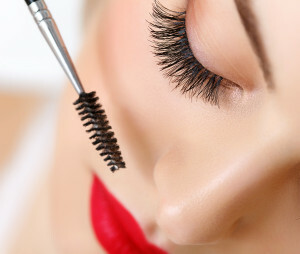 Plump your eyes with a little mascara after you are done with stroking your eyes with a kajal. You can also apply a thin line of eyeliner. This will keep the kajal intact and give you a smudge-free look. 5. When buying a kajal, always opt for a renowned brand. Look for a smudge-free and long-lasting kajal that can brave the long hours with you. A water-proof formula is another thing to look for while buying a kajal. If done in a right way, kajal can give you a look like never before! So, follow these easy tips and get picture perfect beautiful and smudge free eyes.